Full Moon effects on human behaviour are immense. This is not surprising. In fact, we are animals, and the behaviour of animals greatly changes on the full moon phase. However, there is something in people what distinguishes us from animals. A rich gamut of emotions, the ability to create, deep psychologism… Therefore, full moon effects on human behaviour are not always the same. However, the direction in which the full moon will push us depends on the Zodiac Sign in which it is located. The moon passes through the whole zodiacal circle, lingering in each of the signs for 2-3 days. Zodiac Sign shares its mood, pronounced features with the Earth satellite. To learn more about the Full Moon effects on mood according to the Zodiac Sign, read this article. This time we will go further and learn about the full moon effects on human behaviour. What do we usually do on the full moon depending on the lunar sign? During a full moon in Aries, people see the world “in black and white”, and in combination with growing self-confidence, this leads to impulsive decisions and risky actions. Full moon phase in Taurus shows in people the desire to eat tastily, craving for carnal pleasures, and concentration on material values. 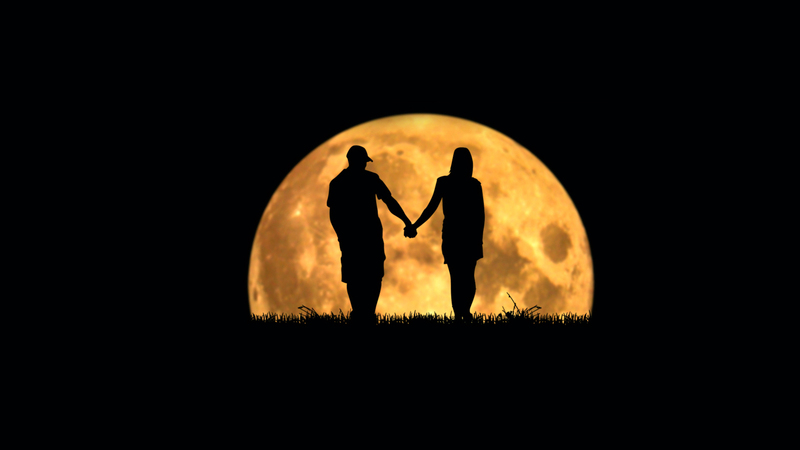 Full Moon effects on human behaviour in Gemini are characterized by a keen desire to change the situation. We easily find adventures and new experiences. A full Moon in Cancer can make a person isolate from others and engage in introspection or memories. Full moon in Leo encourages us to seek attention to ourselves at any cost – in particular, tantrums and scandals. The full moon phase in Virgo makes us restore order — clean up the house, sort papers, make plans for the future. Full Moon effects on human behaviour in Libra are characterized by avoiding conflict and enjoying works of art, as well as improving the space around us. Attention, full moon in Scorpio can be very dangerous! It is a destructive force that provokes a surge in suicide attempts. Use it to destroy the unnecessary things in your life. Full moon phase in Sagittarius encourages us to go to various events, learn and share experiences. On the contrary, full moon effects on human behaviour in Capricorn call us to reduce conversations and diligently carry out hard work. Full Moon in Aquarius can push us to change our look, use eccentric clothes and hairstyle. In addition, Aquarius is very independent and can persuade you to stop the loving or working relationship. And, finally, full moon effects on human behaviour in Pisces are that when we start drinking alcohol or playing computer games, we cannot stop. At this time, everyone wants to escape from the real world into the world of fantasy and illusion.